Life has its ups and downs and for much of the time we may be able to carry on living life in ways we find satisfying. But sometimes events occur that throw us off course – a loss of bereavement perhaps, or a relationship problem – and we know we need help to find the right way forward. 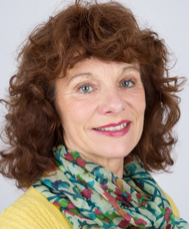 Theresa Hammond is a qualified counsellor and registered member of BACP. Working in accordance with BACP’s ethical framework and standards, www.bacp.co.uk. Currently, Theresa receives referrals from Health Assured casemanager@healthassured.co.uk a work assisted programme. Feedback from clients is very important, as evidence of putting clients first and always working within BACP’s ethical framework. Here are a few accolades from clients Theresa has worked with at Headcorn Natural Health Centre. “I have made good progress in dealing with issues that have previously been too difficult to consider” (18.12.18). In addition to the above, all my clients said they “would recommend my service to other people. “On a scale of one-ten (one being the lowest), they all scored my service as a ten! Erica is a RYA Yacht Master Instructor (www.rya.org.uk) and has been in the sailing industry since 2002 (on-going); understanding coaching techniques and how people learn through visual, auditory and kinaesthetic, which has increased Erica’s awareness of how unique every person is. Erica’s journey with humanistic counselling and Transactional Analysis started in 2009, as she research Eric Berne’s Ego States and attended a 101 course (www.ericberne.com). She graduated in 2011 after studying in Hampshire at Peter Symonds College (www.psc.ac.uk) with support from University of Winchester (www.winchester.ac.uk) and Middlesex University (www.mdx.ac.uk). My counselling experience and placements include Southampton University (http://data.southampton.ac.uk), The Olive Branch in Winchester seeks to provide a professional counselling service demonstrating the Christian principle of love and care for each individual (www.theolivebranch.org.uk), NHS St Francis Surgery at Chandlers Ford and the Bereavement Counselling Charity (http://www.bereavementcharity.org.uk) for young people. I am committed to on-going Professional Development and I follow the guidelines of the Ethical Framework for Good Practice of the British Association for Counselling & Psychotherapy (www.bacp.com) and am subject to their complaints procedure. Erica is a registered member (046272) at BACP, and a member of Hampshire Association of Counselling and Psychotherapy (HACP) (www.hacp.com).